Kimberly-Clark de Mexico SAB de CV is a Mexico-based company en-gaged in the manufacture and distribution of the daily use paperbased products. They include disposable diapers, sanitary towels, bathroom and facial tissues, napkins, kitchen towels, hand towels and feminine-care pads, among others. The Ecatepec plant is one of their main production units with four tissue machines. The challenge was to find the permanent so-lution for the problem caused by the mechanical traps. 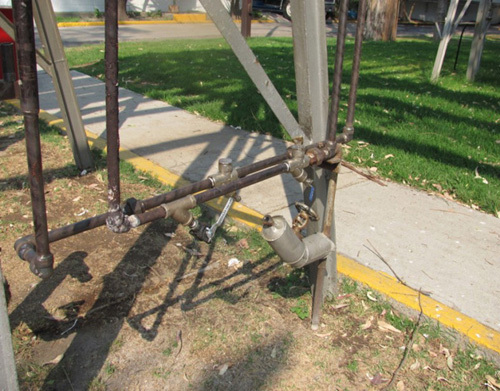 A survey made show that 1.6 t/h of steam was leaking by 41 mechanical traps in the plant. The existent mechanical traps could be changed by the same kind of traps, but the problem will appear again in a few years. PES offered them FENIX hydrodynamic traps, which don't have mobile parts and consequently, don't fail. The steam seal formed by condensate (that's why hydrodynamic) prevents the live steam leaking and just allows condensate pass through the trap. For this reason they save a large amount of steam, not erode and have a performance guaranty by 15 years. PES has many years of experience with hydrodynamic traps. PES has the permission to produce and sell the FENIX EARTH product range in Latin America. The FENIX traps are de-sign to reduce the installation work an the maintenance. PES performed a trap survey that will replace the existence mechanical traps. After supply the re-quires traps, PES verify the traps operation, as well as the traps capacity se-lected that was the ideal for every application. The traps have worked very effectively and have drained the condensate lines properly. FENIX traps have elimi-nated the steam vent, which was prevalent in the discharge of mechanical traps. Therefore, the traps function effectively and efficiently.